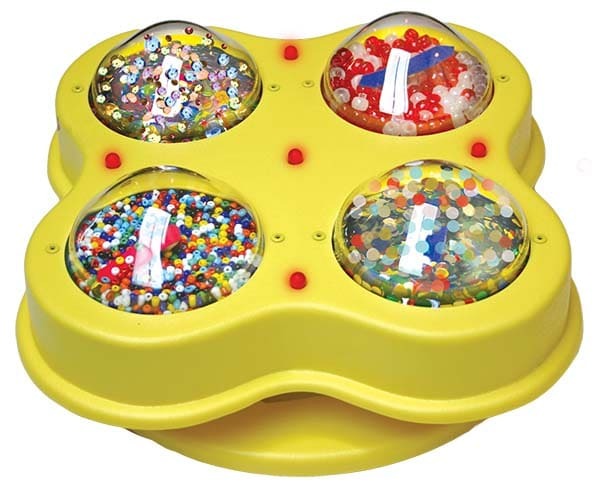 Our best-selling multi-dome activity center, keeps playtime interesting for hours. 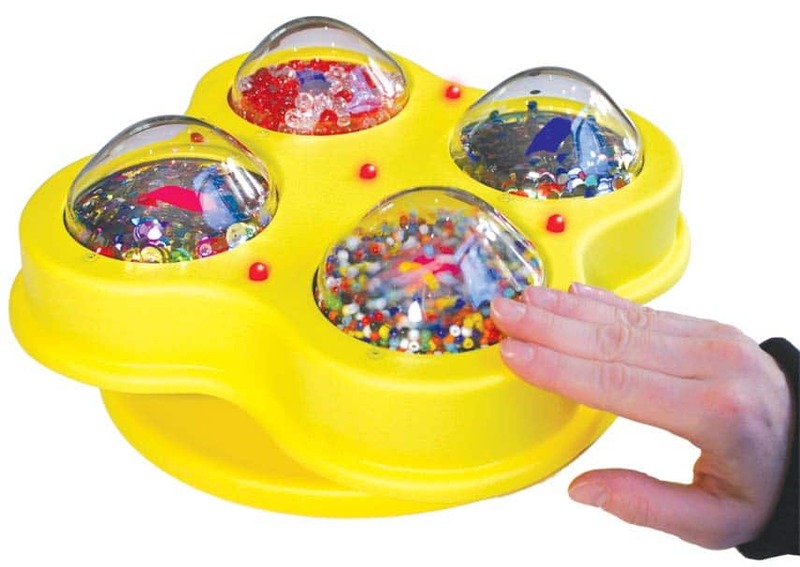 Our best-selling multi-dome activity center, keeps playtime interesting for hours. 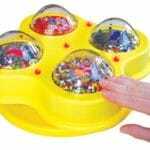 The gentlest pressure to any corner of the activity center rewards the user with lights, vibration, music, flying beads and glitter! A dynamic experience that simultaneously awakens the user’s visual, auditory and tactile senses. Q is there an on/off button? Q Can it be switch adapted? Q Can this be mounted on a surface? 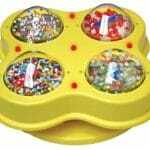 A It has a round base that you can rotate the toy like a Lazy Susan. You will need to be able to remove your mount because the batteries are under the toy.